I love this time of year because it means I have an excuse to make some yummy treats for my family and friends. I am normally not much of a sweets person, but there’s just something about this time of year that makes me want to indulge a little more than normal. When it comes to making yummy treats, I want it to be quick and easy. As a mom of three who works from home, I just don’t have time to make anything fancy. Plus, I prefer making treats that the kids can join in and help with. It makes for some quality family time! 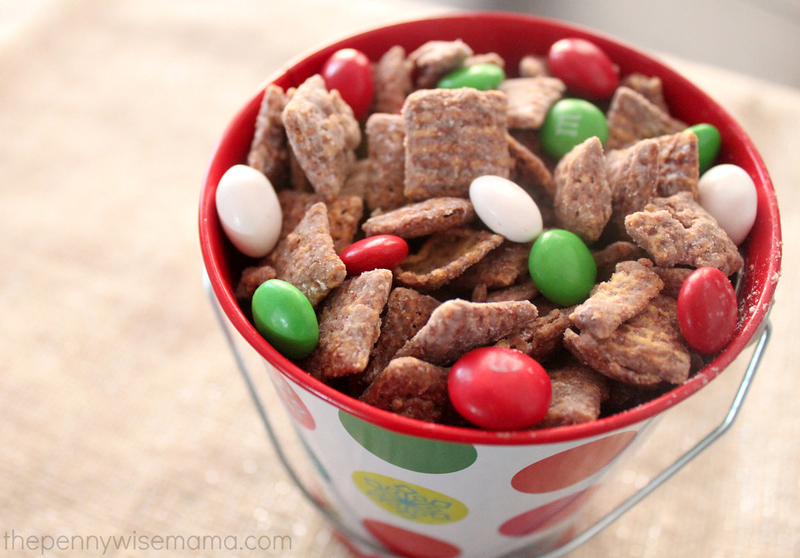 Today the kids and I set out to make a fun, new treat for Santa’s reindeer — Reindeer Chow! 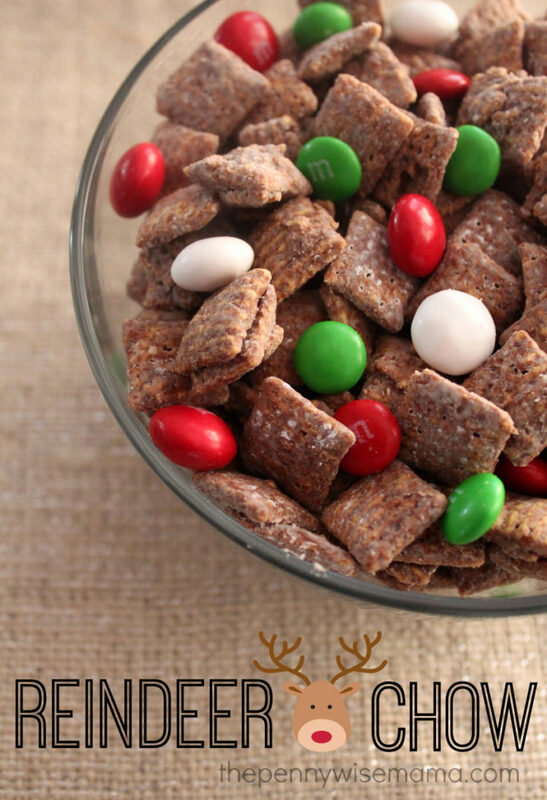 More commonly known as Puppy Chow or Muddy Buddies, this treat is the same only it has holiday M&M’s to give it a little festive flair. This recipe is quick, easy, and affordable. In just 15 minutes, you’ve got a yummy treat that is perfect for holiday get-togethers. It also makes a great homemade gift for a teacher or friend. Simply put it in a tin or mason jar and tie it with a pretty ribbon. Voilà! A perfect gift! Measure cereal and pour into large bowl; set aside. In 1-quart microwavable bowl, microwave chocolate chips, peanut butter and butter uncovered on high for 1 minute; stir. Microwave about 30 seconds longer or until mixture can be stirred smooth. Stir in vanilla. Pour mixture over cereal, stirring until evenly coated. Pour into 2-gallon resealable plastic bag. Add powdered suger. Seal bag; shake until well coated. Spread on waxed paper to cool. Add M&M's and stir into mixture. Store in airtight container in the refrigerator. I was able to buy everything I needed for our Reindeer Chow at Target. 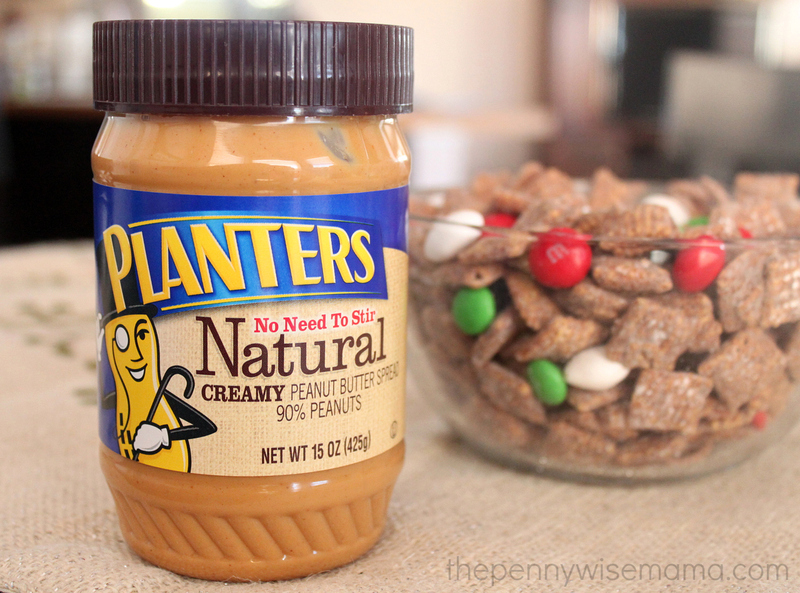 For the peanut butter I used Planters Natural Creamy, a Kraft product. This looks yummy! I think my kids would love it…thank you for sharing the recipe!! 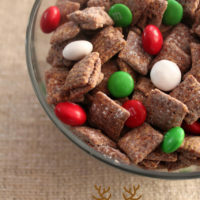 forget santa ,,i want some for the stuperbowl! Looks simple, really fun and yummy for the kids to enjoy! Can’t wait to make this for this years treat. THANKS for the recipe. AWESOME. Looks Yummy! I like anything with peanut butter. I would serve this with my family favorite Swedish Grogg. Oh this looks so good. I would love the peanut butter taste in this. I really would like all of it and would eat too much of it ! Could I just use extra chocolate instead of the peanut butter, and how long can I store it in a airtight container?… This looks so good, kids would love to help make it!! 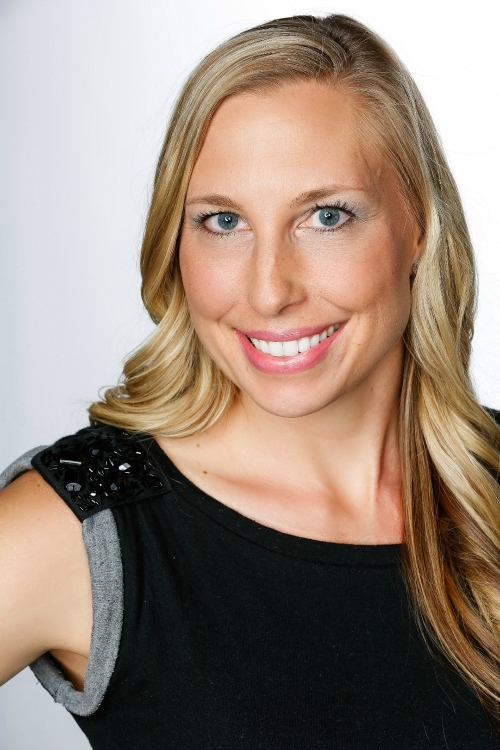 Hi Alana! You could definitely do that if you don’t want to use the peanut butter. Thanks! 18 servings… How much per serving?? Hi Kim, a serving is approximately 1/2 cup. Thanks! Fun and festive! Pass it over please!